So, you all know how I and the pastry bag in my kitchen are at a standoff. I hate the pastry bag, along with her tiny piping tip friends, it sits there and throws kisses my way, just to keep me in a state of panic every time I have to actually use it. That is why I keep it hidden in the darkest corner of my kitchen drawer – you know, eh, too like keep it from misbehaving. It was time to conquer the pastry bag. And the only way to do that was to look for outside help. Enters The Rolling Pin Kitchen Emporium to save the day and make a dent on my wallet. With over 4,000 ft of gourmet retail space, this place is THE place for cooks, offering every single kitchen, cooking gadget imaginable for your kitchen. Along with this, they also have an additional 1,000 sq. ft dedicated to a culinary center, where they offer live cooking demonstrations and on-hand cooking classes. 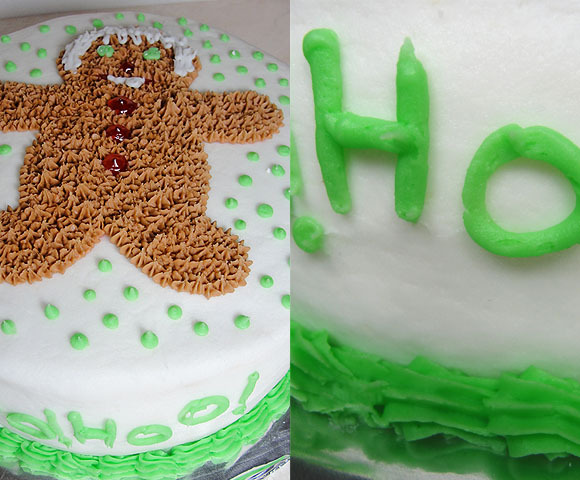 I signed up for their cake decorating series faster than I could type this. My first class was 2 weeks ago. I learned the art of cutting the cake the right way, leveling it, filling it, making the icing nice and smooth and yes, using the decorating bag to make stars, shells and dots. Very simple stuff, but the amount of satisfaction when I walked out of there with my fully decorated cake was huge. The instructor was fun, lively and the assistant made sure our wine glasses were always full, our station always clean and we had all of our pastry bags and tips filled. I could get use to that! I wanted to take one of those assistants home. Now I know how chefs feel about their sous-chefs. 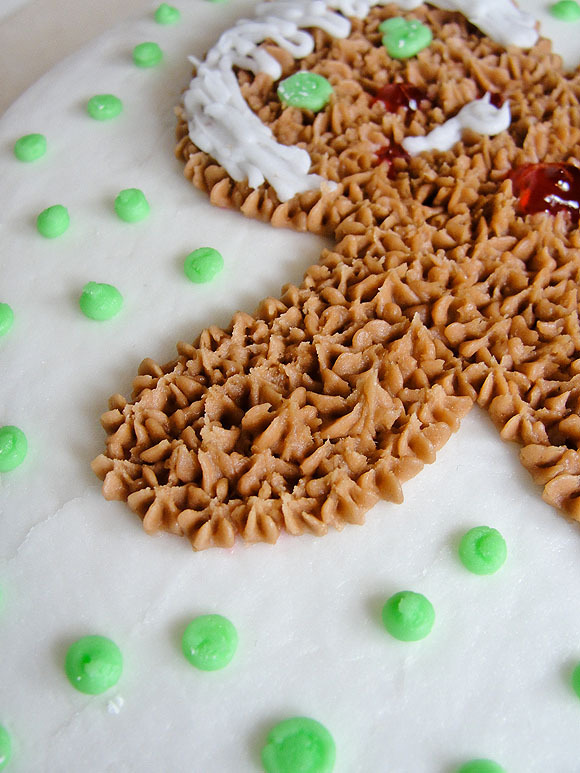 Royal icing is fickle – it hardens really fast and it’s hard to pipe and can make an incredible mess. Decorating is hard work! I will never, ever question why a cake is so expensive ever again. Even at my local supermarket. It’s good to march to your own drum. You could go with the rest of the flow in the class and decorate as the teacher… but why? Use your creative side and run away from the pack! At least your cake will not look like everyone’s there. Hide your credit card when you are inside a 3,000 sq feet of kitchen retail space. Your boyfriend will thank you. Wine and decorating totally go together! Templates and parchment papers are your friends. See that little ginger man on top of my cake? I did not draw him free hand. Making a small piping bag out of parchment, not that hard to do – huge amount of possibilities! That pastry bag at home better be ready for me, it’s got nothing on me! No matter how much self talking you do, you will still need to buy that cute cake pan.